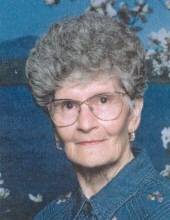 Our beloved mother and friend, Bertha Renae Bird, passed away peacefully April 12, 2019 at her home in Mendon, Utah. She suffered only a brief illness and was active and feisty to the end. She was born June 28, 1928 in Hyrum, Utah to parents Elra and Dora Miller. Mom married Afton Dale Bird March 1948 at the Logan LDS Temple. Dale affectionately always called mom “Rose” and he was the love of her life. They worked and played together as a team and enjoyed many happy times with family and friends. March 2018 would have been her 70th wedding anniversary. Mom was very happy and fulfilled for the life and times she enjoyed. She often chose to cut her own path and always set an example for her family. As a youth, mom worked very hard on the family farm raising chickens in Hyrum and hay and grain at Blue Creek. Her strong spirit and work ethic were enduring traits. Mom graduated from South Cache High School. She went on to work in careers at the Internal Revenue Service and Federal Employees Credit Union in Ogden, and Lundahl Astro Circuits in Logan. Mom loved her home and especially spending time working in her many gardens. She knew the name of every plant and would often take unsuspecting family and friends by the hand to delightfully show them colorful flowers and progress in the garden. She loved being outside and the many family outings and time spent at Bear Lake. Our family enjoys many fond memories of hiking, camping and outdoor recreation where mom was master organizer. Mom also loved the many pets she had over the years and each was treated kindly. Bertha is preceded in death by her parents, Elra and Dora Miller, brother (Orland Miller), and son Scott Bird (Gaye). She is survived by her sister, Sharon Larsen (Clair) and husband Dale Bird and family, Alan Bird (Susan), Mike Bird, Lisa Sorensen (Craig), Cory Bird, seven grandchildren, and twelve great-grandchildren. Graveside services for family and friends will be held on Wednesday, April 17th at 11:00 am at the Mendon, Utah Cemetery. If desired, and in lieu of flowers, family and friends may make a donation to the Cache Humane Society.